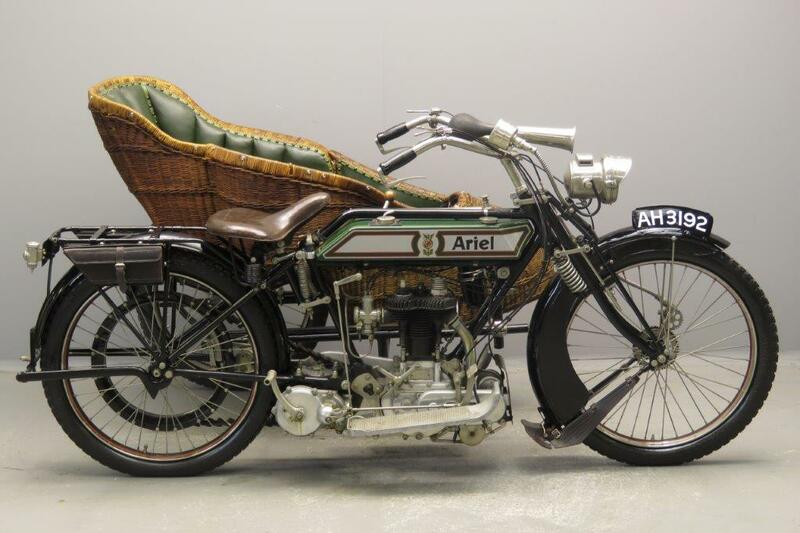 Components Ltd., the Ariel parent company, had been involved in producing motorized vehicles since 1898. 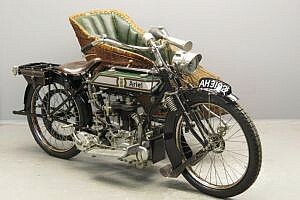 For the 1910 season a radical change occurred in the motorcycle range. All previous models were discontinued and were replaced by 3 ½ HP machines that would remain in production for the next 15 years: the T-head White & Poppe engine, in which the inlet and exhaust valves were placed an extraordinarily 4 ½ inches apart. 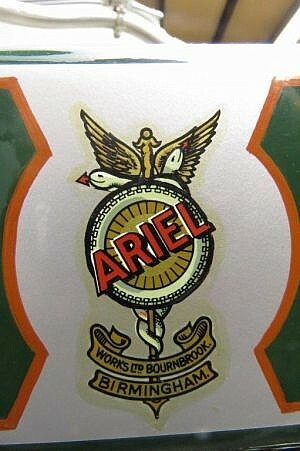 Because of this the new machines soon gained the nickname of “the Ariels with valves a-mile-apart”. 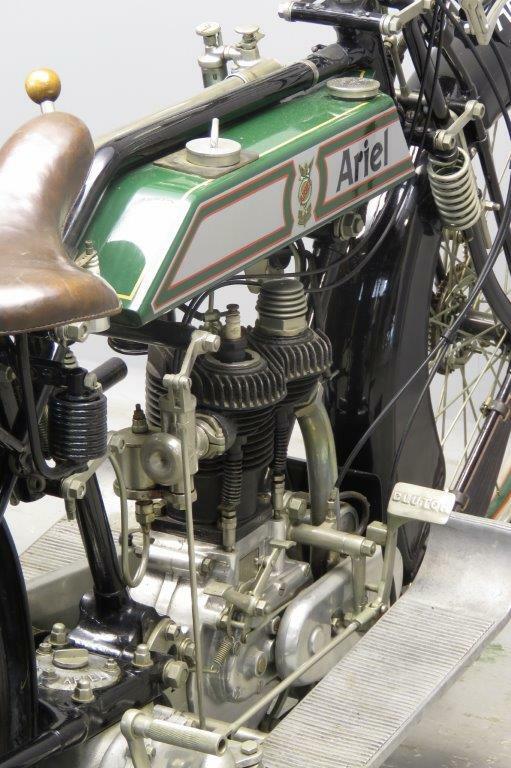 The new models proved very popular with motorcycle enthusiasts and in 1911 Components Ltd. bought the patents rights of the engine and started producing the power unit itself, at the same time increasing the bore to enlarge the swept volume from 482cc to 498 cc. 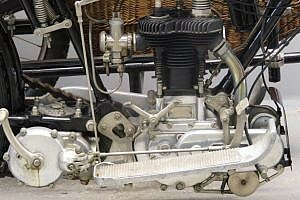 In 1914 a three-speed countershaft gearbox was added. 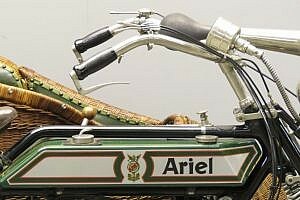 Clutch control is by foot pedal. 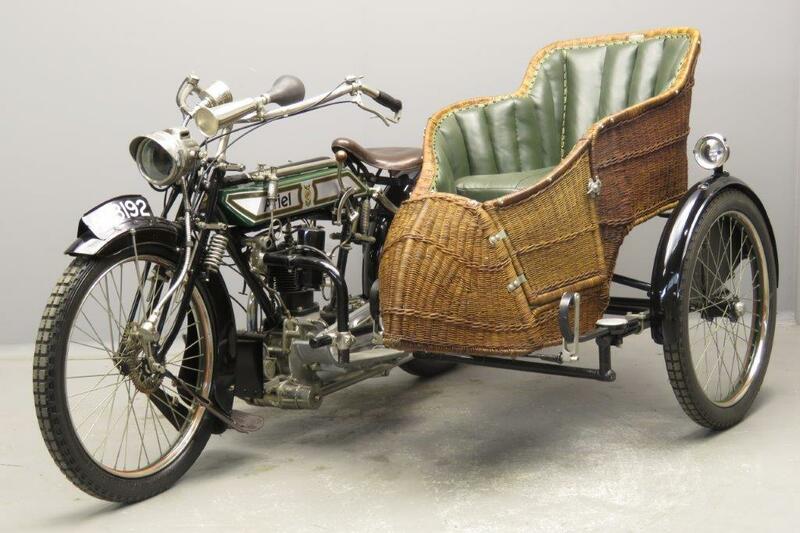 Secondary transmission is by belt and the comfortable spring seat is a practical detail. The early postwar models differed but little from the 1914-style machines. 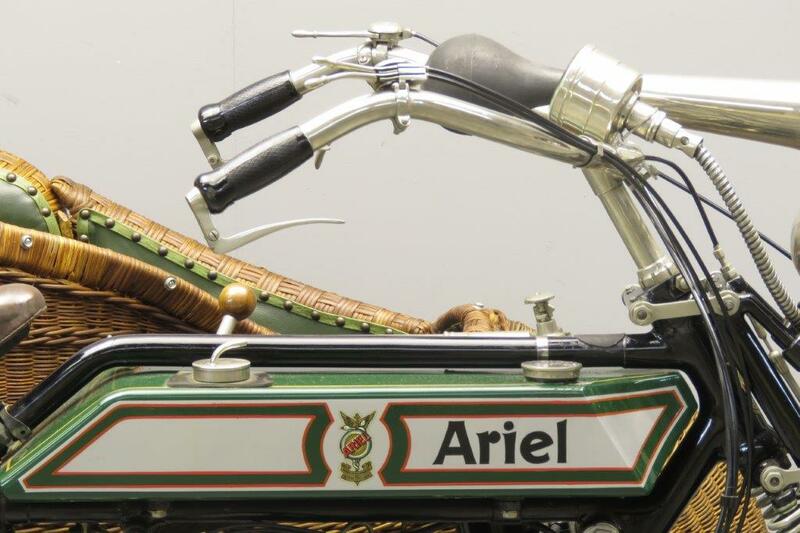 This well-designed and sturdy Ariel thumper is fitted with a nice wickerwork sidecar. The machine comes complete with Miller acetylene lighting, Cowey speedometer and bulb horn. 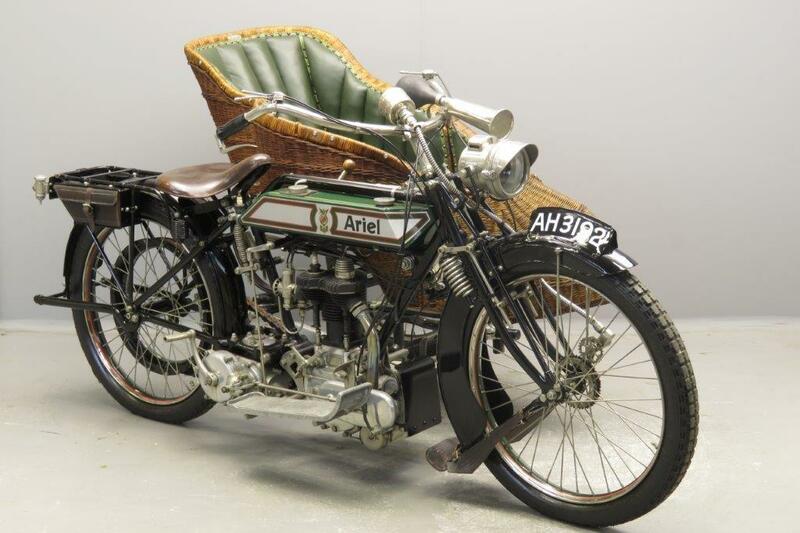 She’s a very well presented older restoration.